On this first ghost hunt (at this location) I thought I would aim for something that many wouldn’t; 13 people on the 13th February. 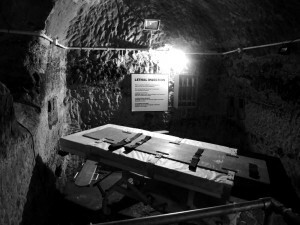 It proved to be a good decision as we had lots of activity on Ouija board and table tilting as well as the séance held in part of the museum called the Death Chamber. During the séance we had a number of spirit present, the two most prominent ones were an Army Captain and a Bobby (an old fashioned Policeman) both of whom were able to move us beyond what we thought possible. Some of the movements were painful, but were actually on command of what someone had asked for, not necessarily the people who were being moved! The Ouija board had lots of communication as well as our electronic gadgets and dowsing rods and pendulums. 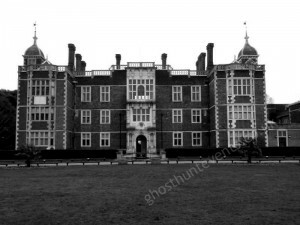 It was an interesting ghost hunt and a location we look forward to returning to in the summer. At the start of my first session we began by using the pendulums, and each guest had movement although some were taking longer to get going than others. Most of the guests established their yes and no directions and were communicating with spirit either out loud or in their heads. We didn’t have much movement with the glass when doing Ouija, as it seemed spirit did not want to communicate in this way and kept moving the glass to goodbye. We did however have a very successful session with the writing planchette, as it started moving more or less straight away, and was continuously doing so around the paper. We kept asking spirit to draw something for us or write their name or initial, and when we looked at what had been drawn, it looked like a bird. We also had a lot of activity on the ghost pros, and it was as though two different spirits were arguing with each other, as one kept contradicting the other. During this time, we started to hear taps on the table next to us where no one was sitting. I then asked spirit to copy my taps, to which it immediately did so. Guests were amazed by this, and a few of them also did some taps, to which spirit once again responded. In another of my sessions spirit drew the letter J and the letter I with the writing planchette. During my final session we contacted a spirit named Robert via the Ouija. He told us he was from 1865 and had a wife called Gill and a 6-year-old son, Anthony. He then told us that his son was strangled by a man called George, so Robert killed George and then killed himself by running under a horse and cart. He said that George was always with him tormenting him, and that they are both bad men. We asked Robert if he had a message for us, and he spelt out “will see you”. When asked if he meant he will see us in the cells downstairs, as this is where we were planning to go afterwards, he responded with yes. At the end of the night we had a free session so we went down to the cells, and myself and Kym held a séance with the guests. Some of the guests including myself were being pushed slowly to the right and a couple of people’s arms were raised. We also heard some whistles, which sounded like they were coming from one of the cells. Having a quick walk around with Louise (team) I saw a dark shadow of a person on the stairs. We continued upstairs and whilst setting up with Louise we both had an uneasy feeling in one of the upstairs room, and whilst trying some table tipping in that room a door started moving, when checking inside, seeing nothing, Louise closed the door and it was pulled shut with force from her hand. Louise decided she wanted to work in that room, and as we went to leave we heard what sounded like one of the chairs moving across the carpet, but couldn’t see any chair, or table had been moved. On leaving again we heard the same noise again, but again couldn’t see anything that had moved. The third time whilst walking out we heard it again but again saw nothing different. With my first group we started with a séance circle to invite the spirit to join us, and whilst doing this one of the guests noticed his torch (which was turned on) move on the table. Starting with the Ouija we were hearing noises and creaks around us, but with no movement on the glass we tried with the dowsing rods & pendulums. The guests were communicating with two spirits, a husband and wife who had lived here. We tried to work out the year, but we all had different: 1550’s, 1800’s and 2000’s. Alex saw a light/orb with his eyes, and was getting a lot of activity in the area he was standing, using his dowsing rods. With my second group we were communicating with spirits using the rods & pendulums, and whilst using the Ouija we were seeing shadows and hearing noises in the room. But with only a little movement with the glass, we went to explore the adjoining rooms. We were all drawn to the top of the staircase, sensing a female spirit that may have been pushed here. With the last group, we tried the Ouija at the top of the staircase and did get some slight movement, but not enough to communicate. However, myself and Eve (guest) were getting a sharp stabbing pain to the back of our heads, felt very sore and burning. Tom’s (guest) head torch had also started flashing, and to our surprise when we asked for the flashing to stop/start it would do so on command. The team had all been looking forward to this event most of the year – the last time I had been to Upnor Castle was nearly 10 years ago on a similar paranormal night. It had not been visited since by any other paranormal group. When we arrived, and on chatting to the staff, the spirit activity had increased considerably in the last week – were the spirits excited about our visit as much as us? I started the night with Kerry in the tunnel doing a human pendulum. The first spirit that came through was male, John, a British soldier and was murdered here in the 1600’s. His brother was Peter, and later his mother Jane joined us. With my second group again we had the spirit of John, but different from before. Although he was a British soldier, he had died from typhoid. 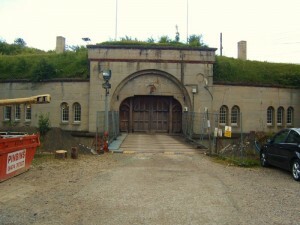 We also had the spirit of a Dutch soldier who was captured and kept here as a prisoner. He was a surgeon and operated on the Dutch prisoners. When he died he was thrown in the River Medway. He had fell in love with a Dutch woman here, however she had married a British soldier, but was murdered by her husband. With the last group, who were all friends, several spirits came through but were mostly connected to the guests. 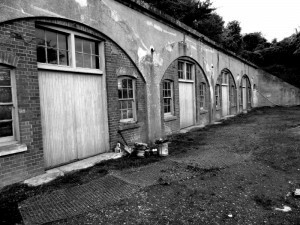 In the second half of the evening I was working in the Barracks Building, with the assistance of Wayne. We were using dowsing rods and pendulums to communicate with the spirits. The staff were keen to stay with us as this is where they had been experiencing lots of different things in the last week. On entering the building and walking up the stairs, Wayne felt a could touch to his neck, which he also felt in the corner of the far upstairs room. When using his pendulum to communicate with the spirit, it was a female energy here that had touched him. I was with Sarah (staff) and were talking to a male spirit using dowsing rods. He was a British Officer aged 25. Sarah wanted to know his name, so we both asked spirit to try telling us. I had the name Terry – short for Terrence – Sarah had the name Edward. Spirit confirmed his name was Edward Terrence. Edward also confirmed the experiences Sarah had had were all from him. Also another member of staff had seen a spirit previously, had quickly drawn a sketch of what she had seen, and Edward confirmed that was him. Whilst someone was sitting in a chair in the shop downstairs, she felt coldness on her lap as if someone was sitting there. Sarah also whilst standing on a trap door at the top of stairs, felt it try and lift up under her feet. On checking we could see it was impossible to lift up. I stood there and twice I felt a vibration under my foot when nobody else was moving. We could feel coldness in front of us too. Wayne then went to get his Rem pod and placed it on the trap door, and several times it went off. We tried to de-bunk it by moving/running on the stairs, opening/closing the door downstairs, but each time you had to do it with force to set the rem pod off, which we know no-one had done at that time. An amazing night at Upnor Castle – can’t wait to return! Once everyone knew how to use the rods & pendulums (some were familiar to the equipment), we all communicated with the spirits there, of which were several. We were feeling coldness around us, and felt like we were being touched too. We also heard a loud male breath near us. We then used the rest of the equipment, and felt there was a spirit in the corridor. Every now and again he would come into the room, then venture back out to the corridor. The Mel Meter showed the temp to be 13 degrees, and 0.4 to 0.5 mg. We also had various words on the Ovilus, but nothing on the SB7. With the second group again we had spirit communication using all the equipment. On the Ovilus we had the following words: general – pat – fly – Africa – disaster. Were we talking to the pilot that had come down here at the fort. With the controlled sessions over I joined most of the guests and Trudi (team) back in the caponier doing Ouija and table tipping. Both were very active, with the guests amazed by what they were able to experience. Group A – We started with a séance circle, and invited spirit to join us. Many could feel the energy change around them when the spirits stepped close. The guest to my right (Peter), his left arm started moving up, but very gently, and almost immediately went straight back down. Guests were seeing lights flashing on the wall and people. We moved around to see if others could see the same, and they were. We were also seeing shadows around us too. Sean (filming) was watching his torch on a shelf, and it kept disappearing from view. He showed us all through the camera which we saw too. Some were being pushed and pulled, and feeling cold spots around us too. With not much more movement we tried the pendulums and rods. We had a male spirit with us, he worked here and was military. He said there were other spirits here with us. With another team member saying that they had tried chair tipping in this room successfully before, we had a go. Initially we divided the guests on two chairs. I stood with one group touching a chair and immediately started feeling very dizzy. I swapped with Dave (guest) and he felt the same. But Peter & Leanne didn’t feel it when standing there. The other chair was moving so we all switched to that one. With all lightly touching the chair, it started moving. Slowly it started lifting up. It tried to spin around but fell down. Tried again, but just lifted up. Some tried pushing the chair back down and could feel resistance. Group B – Started with the séance circle, and Colin (guest) to my right was getting pushed, pulled and twisted. Cold spots were being felt by some around the circle. We were also hearing noises/footsteps near us too. With no more movement we did some dowsing and all had quite a lot of communication with spirit. We were talking to a male spirit connected to the fort. We tried some chair tipping but had no movement, so decided to go down the whistling tunnel nearby. However just on entering we heard a whistle between us, thinking initially it was one of us whistling ourselves, but with clarification from everyone that they had not done it, we were quite happy to have heard it. Group C – Starting with the séance circle many were being gently rocked to and fro. Then some guests started having their arms moved up and down. Asking them to ask spirit in their head to move their arms where they chose, they were amazed when spirit responded to their request every time. Myself and guest to my left were both feeling a heavy weight on our shoulders, and started to be pushed down. Others were being pushed down too. Also a lot of laughter was expressed around the circle. Some felt like they were being touched, and felt cold spots too. We then tried some communication with spirit using the rods & pendulums, and spoke to male and female spirits. We then went to the whistling tunnel, and again heard a whistle between us whilst entering. In the free session I joined some guests in a new area, a long tunnel above Area 10. Then I joined Kerry & guests in room 35 where they had been experiencing some fantastic Ouija & table tipping. We then finished the night with some Ouija in area 10. A fantastic night – fabulous guests – and an awesome venue! Group C – We started in room 7 using the rods & pendulums, and all had some movement. After establishing their yes & no movements, guests communicated with the female & male spirits with us, also asking to point the rods to where the spirit was standing, which they did. We did some glasswork, which started moving and we established our yes & no. The spirit was female, and had her son with her. Whilst doing this we heard a knock on the door, on checking no-one was there and as the floor creaks in the corridor and there is another door outside, we were sure we would have heard if someone there. We then heard two knocks on the chest of drawers in the room. To reduce the noise contamination in the room, we decided two people stayed in the room at a time, whilst the remaining guests went with me to room 6 to do tech equip. We had lots of activity on the KII’s and Ghost Pro’s, nothing on the SB7 (Spirit Box), but had the following strong words on the Ovilus II: mommy, enough, run. The pairs of guests in room 7 did have some strange things happen too, definitely feeling a presence in the room with them. Group A – Again started in room 7 with rods & pendulums, and all had movement. They were communicating again with a female & male spirit. We tried with all 8 guests doing glasswork, but with nothing happening I split the group with 3 guests in room 6 doing kit, and the remaining 5 continuing with the glasswork in 7. Lots of activity on KII’s, Ghost Pro’s and Ovilus II, and when checking back in room 7 the glass had been moving a lot. They had asked the spirit to take the glass to the birthday girl which it did. Seemed a lovely fun spirit. Group B – Started with the rods & pendulums and had a female spirit communicating with us, and then we had a boy. I split the group with half in room 6 doing tech, and the rest in room 7 doing glasswork. With activity in room 6 on all the equipment it was noted some of the strong words on the Ovilus II were water & rabbit. With the glasswork we had the boy communicating with us. He was 12 years old and had drowned. It was not an accident. His name was Robert and from the 1500’s. Asking who he would like to ask the questions, the glass went to Lisa (guest). She reminded him of his mum. When the tech group came in and said the words water & rabbit had appeared on the Ovilus, we linked water to the boy drowning. And asked if he had a rabbit as toy, it answered yes. He also had a twin brother. Now into the free session, the guests in room 7 decided to stay and try the writing planchette, and we were all amazed to see a picture of rabbit being drawn by the boy. Group B – We started with table tipping, and could feel the table trying to move. Some guests were feeling a tingly sensation under their hands whilst touching the table. Two guests felt they were being touched on their shoulder at the same time. But with only slight movement we switched to glasswork. Ted (curator) was sensing a familiar female spirit nearby, and he was being pushed/pulled throughout, but with no movement on the glass we tried the writing planchette. Again had no movement on the planchette but could feel the table gently moving again. Whilst asking for the table to move, Ted & I could sense it was a child trying to move it. As not much more movement we tried the pendulums & dowsing rods. Everyone was able to ask spirit some questions, and yes it was a small boy aged around six. He knew the female spirit, was a mother figure but not his mother. Ted had the names Emma & John given to him. Group A – We started with table tipping and the table started rocking immediately. Asking spirit to move the table to show a yes & no, we established the spirit was a male jailor. He was the nicer jailor, who didn’t like the other jailor. The table would move however we asked, lifting a particular way, spinning, and walking towards the door when asked. We asked spirit to lift/move the table to show us where is was standing, and it lifted towards the corner of the room next to us. Asking spirit if he would like to communicate with us using the glass or writing planchette he chose the glass. Again the glass started moving straight away, in very fast circles around the table. We asked spirit to take the glass towards where he was, the glass now moved towards the door. Ted commented he often stands in those two places when here. The jailor answered a few more questions: he worked in the main building in 1840, the women’s tower was built when he was here, and he was scared of the other jailor who was his boss and not nice to the women. He was aged 34 and died of natural causes, and was buried in Rye church graveyard. He was married with no children. We asked spirit to draw using the glass, his first initial. He drew what looked like a M or W. Moving the glass to yes he confirmed it was the letter M. We asked spirit to try and tell us his name and one guest had the name Matthew, the spirit confirmed this was his name. We then tried the writing planchette and the pen/planchette started moving in lots of random circles. We asked again for spirit to draw his initials, which looked like M – O or D – S. Louise (guest) was feeling unwell during this and had to sit down, and didn’t start feeling better until she left the area. We did try table tipping again, and again had lots of tipping and spinning. We also tried pushing the table back down when it was lifted up, and with all taking it in turns was amazed by the strength we had to use to push the table back down on to the floor. When Ted tried he was unable to push the table back down. This amazed us all, and we could not believe the power/force behind it. I love Rye Castle – a fantastic venue, with something different happening every time we go! Group C – We started by using the rods & pendulums, everyone chose one and started getting movement. Once they had established their yes & no movements, they were able to ask the spirits some questions. We had male & female spirits with us. Marc (guest) whilst sitting in the mayor’s chair saw a large black shadow in one corner of the room, he placed a KII there but didn’t see any lights go on. It wasn’t until I was talking to Edward (guest) later, he had felt a coldness next to him at the same time, in the same place as Marc had seen the shadow. But when Marc had put the KII there it had disappeared. Karen (guest) wanted to go to the Upper Gallery, and whilst there had a female spirit with her. Just before I left her on her own there, I had the name Catherine given to me, asking spirit if that was her name using the Ghost Pro, it confirmed yes. I left Karen talking to the spirit with her pendulum & ghost pro and she was able to find out the spirit had been murdered here by her husband, who had also killed their children. She was an older woman with grey hair, with a hat wearing a black dress. When Karen came down, Marc & Helen went to the balcony and whilst there they were asking spirit to touch them. They started to realise both were being touched at the same time in the same place each time. They also had the spirit box with them and asked the question “how many persons were in this room” and they clearly heard the number seven – there were seven of us. Group A – Again started by showing the guests how to use the rods & pendulums, and most had movement. Some had a male spirit, another had a small female child, possibly aged around 5 or 6. We could feel her warm energy between us, around our hip height. We both sensed she had long blond straight hair, she confirmed this by answering yes on the pendulum. When using the spirit box we had alot of words come through, but none clear enough. We were all hearing something different each time. Steve (guest) was standing by the door using rods, and was sensing a mayor with him. Asking if that was the shadow that was seen in the earlier session, the rods answered yes. The rods also pointed to where we need to look to see him again, which was the same place seen earlier. Steve had also felt a touch a moment before. We did keep looking in that area hoping to see the shadow again, but unfortunately no. Group B – Using the rods & pendulums again to start, lots had movement, all were able to communicate with spirit, some had male, others had female. When using the equipment we did have some relavant words on the Ovilus, but had many more words on the Spirit Box: the name Bob & Stephen for the name of the spirits, no guests names said when asked but did say the number of people in the room correctly twice – ten. People were seeing shadows in various places in the room, and one guest saw a shadow behind me at the same time I felt someone shaking my chair I was sitting on. After the last controlled session finished I stayed with another team member Louise and did some glasswork. The glass started moving, and after establishing our yes & no positions, the spirit confirmed he was the mayor from earlier. Surprisingly we felt the table shake whilst the glass was moving. This was a very large heavy table and we found it difficult to move ourselves. We did ask the spirit to take the glass to where he was standing which he did. We were also hearing noises and footsteps around us. I could also feel someone touching my hair. 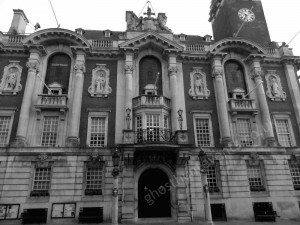 The Town Hall at Colchester is an amazing building, very active with spirit, and one I cannot wait to return. Group B – Started in room 9 by showing the guests how to use the dowsing rods & pendulums, and all were amazed by the movement they received. Most had a male spirit with them. Louise (guest) had the name Simon. Asking the rods confirmed yes that was his name. We tried some scrying but wasn’t able to see much change. We then went to room 10 to try some glasswork and after while we did get some movement on the glass. One guest Shane stopped touching the glass and started asking spirit questions in his head, and was amazed that the glass started moving much faster, and moving to where he was asking. The spirit was a boy aged 12 called Simon. He drew the letter S for his first initial. He was with his mum, but not his dad. His dad wasn’t very nice. They had both been killed by the dad. They had lived here at the hotel. Group A – With the next group we again started in room 9 with the rods & pendulums and had lots of movement. We tried some scrying but couldn’t see any changes. We moved to room 10. Whilst some guests were trying some glass work, others were taking it in turns to stand in the short corridor joining the two rooms. Taps were being heard in the door to room 9 but no-one was in there. We did get some glass movement when our time was up, stayed for a short while longer and the glass was moving around the table rapidly. Group B – This group decided not to stay so I joined Steve in room 10 for the Tech Session. We were initially using Ghost Pro’s & Mel Meter. Also our newest member of the team, Tarquin the Boo Buddy Bear was with us. It was noted when the bear said it was getting warm in here, the temperature on the Mel meter increased, but not by significant amounts i.e.. 73.4 to 73.9. We then turned on the Ovilus and was receiving words that did seem to match the bear i.e.. Play time and the word “play” being shown. We turned on the Spirit Box but had no words at all. Throughout the ghost pro’s were lighting up and guests were asking various questions. Some guests in room 9 came through asking if we had whistled, as they had been hearing whistling the room, but we hadn’t and had not heard the whistling at all. Group A – This last controlled session we started with the four male guests on the ouija and Steve assisting. I joined the remaining four guests on the writing planchette but had no movement at all. On the ouija the spirit of Timothy was with them. He was six years old and seemed to just want to play. We then tried some table tipping and immediately the table started lifting. The table then lifted on one corner and started turning, faster when we asked. We then asked if spirit could take the table into the adjoining room to the bar, and the table started sliding, similar to skiing, towards the bar. It then continued to lift and spin when we asked. For the free session myself and Louise joined four guests in the cellar who had the ouija board. They had a male spirit with them who had worked in this building in the 1400’s before it was the Red Lion. He had died in the cellar of a heart attack. They had heard him talking next to them before we had come down. Fun night with some lovely guests!